The name ‘Shamwari' is synonymous with African safaris. 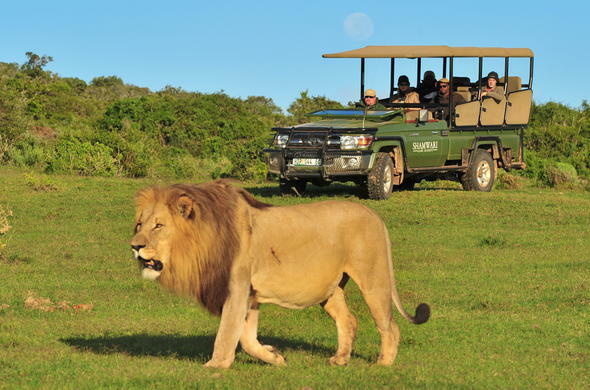 This prestigious game reserve in the Eastern Cape has a high international profile, and the constant stream of glamorous visitors who choose to stay in its lodges keeps it firmly in the limelight. It is understandable then that the name Shamwari is never far from the lips of potential visitors when they decide which game reserve to visit in South Africa. But it was not always so. 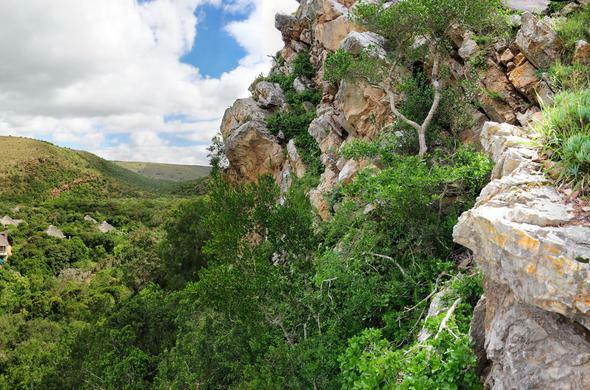 In 1990, the land that now constitutes the 20 000-hectare Shamwari Game Reserve was little more than an eroded dust bowl of overgrazed farmland. A far cry from its original wild state, described in the 19th century as one of the richest wildlife regions in Africa. The new owner of the land, Adrian Gardiner, had a dream of returning the area to its former glory, with buffalo, rhino, leopard, lion and elephant roaming the wooded hills and bushy valleys. In short, he wanted to bring the Big Five back to the Eastern Cape. In 2000, his dream came to fruition when the first lion to range free on this land since 1870 was released.Today, Shamwari has been returned to its rightful owners: the flora and fauna of the region. Visitors who come from all over the world to share in this extraordinary success story can choose from an array of accommodation styles, with Eagles Crag topping the bill. 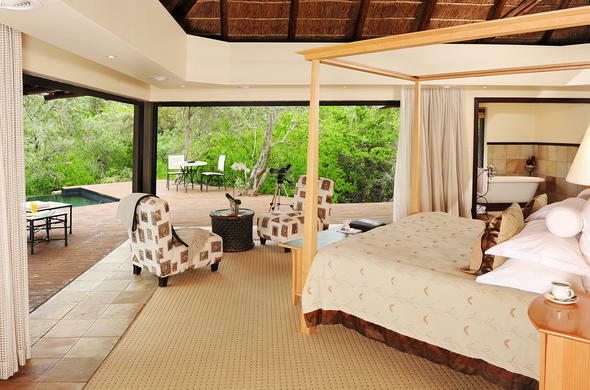 Described as the ultimate in luxury, Eagles Crag has been the choice of local and international visitors. Thatch and stone in part give way to sliding glass doors, providing guests with breathtaking views of rolling hills and gorges, clad with riverine thicket and aloes that glow a flaming orange in winter.